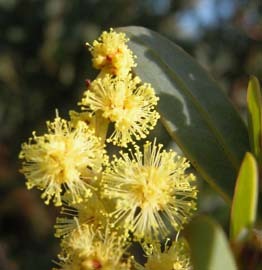 Acacia pataczekii is an uncommon shrub or small tree found in the north-east. 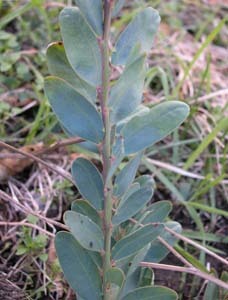 The leaves are usually relatively broad and glaucous, but have a pointed tip and thickened margins. 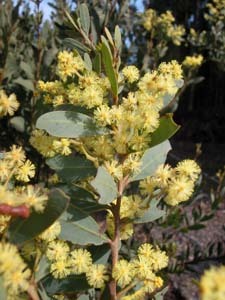 The flowers are in heads, which are in long racemes.